Good use of carpeting can influence several components in a room: light, temperature and noise. We will get you started in the right direction! Traditional, Transitional, Contemporary or Oriental; Area rugs add a unique design element to a room. With personalities of their own, area rugs take center stage. Laminate flooring offers a wide selection of durable designs that offer the look and feel of beautiful hardwood, ceramic tile and slate. We have all the popular styles. 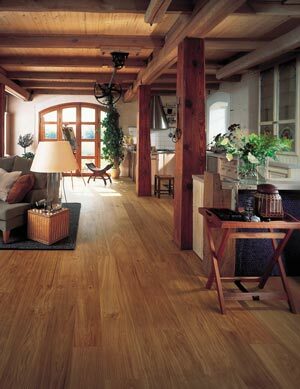 Vinyl flooring options are a great choice when you need versatility, easy clean-up as well as style. It is easy to clean, making vinyl a top choice for just about any room in your home. Those aiming for a picture-perfect kitchen should certainly investigate solid surfacing. Quality countertops from the industry's leading manufacturers. Tile combines strength and durability with timeless good looks. From ceramic to porcelain, mosaics or natural stone such as granite; your design choices are limitless. At FloorCraft, form and function are inseparable. Great design is beautiful to live with. For those who want truly exceptional and truly customized window fashions, FloorCraft is the ideal choice. From home to business, from builders to contractor or just simply you, when you need it most with your insurance claims; FloorCraft provides the highest quality customer service and top quality materials to ensure the beauty and success of your design. Explore the unlimited possibilities; from granite and natural stone slabs; hardwoods in a variety of stains, species and finishes; carpet in bold, soft and neutral tones; ceramic tile in all sizes and textures; colorful glass mosaics and tiles; and decorative metal pieces. Combining these intricate pieces will enhance the look of your home. FloorCraft works with clients encompassing all aspects of interior design, material selection, installation and slab fabrication to all dimensions of your remodel needs. Our receptive and skillful interior design consultants are available to guide you.